Cosplay is a japan word coined from therms costume and play. The activity involves recreation of characters from manga, anime, fantasy and science-fiction movies, books, games etc. Lovers of this more and more popular hobby tend to sew a costume, make weapons, tools and other accessories, arrange wigs, everything that is needed so they can turn into their favourite character for a short period of time. This often includes behaviour that is in line with the figure itself. Because we want to become someone we like for one day, because we like to create and invent new ways to make costumes, because we like to be photographed, because we like new challenges … There is at least as many reasons as cosplayers. Cosplay is a great hobby for everyone, regardless of age or gender, skill or finance! Some prefer to make costumes, where others just want to wear them. What is essential is that everyone has fun doing it. 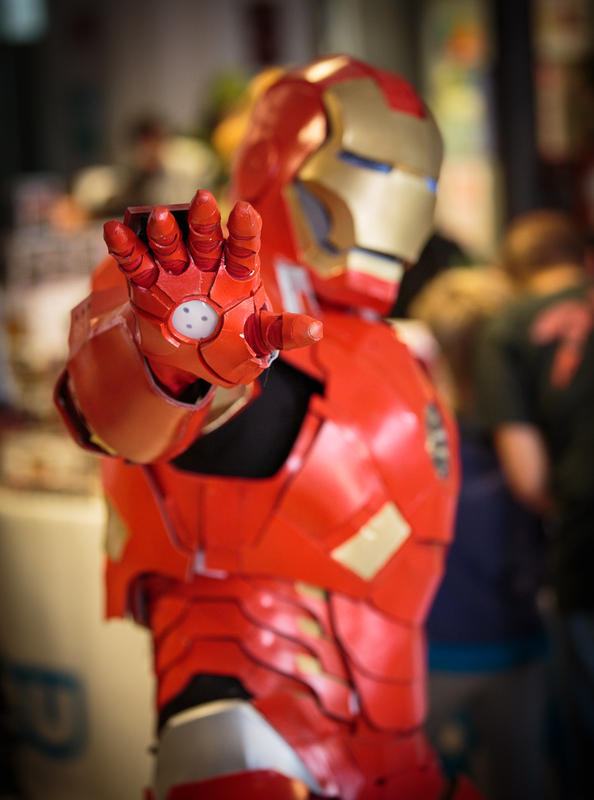 At the NMN you will be able to see many fantastic cosplays, anything from easy to detailed builds. We will be very pleased if we will see you in the costume this year! 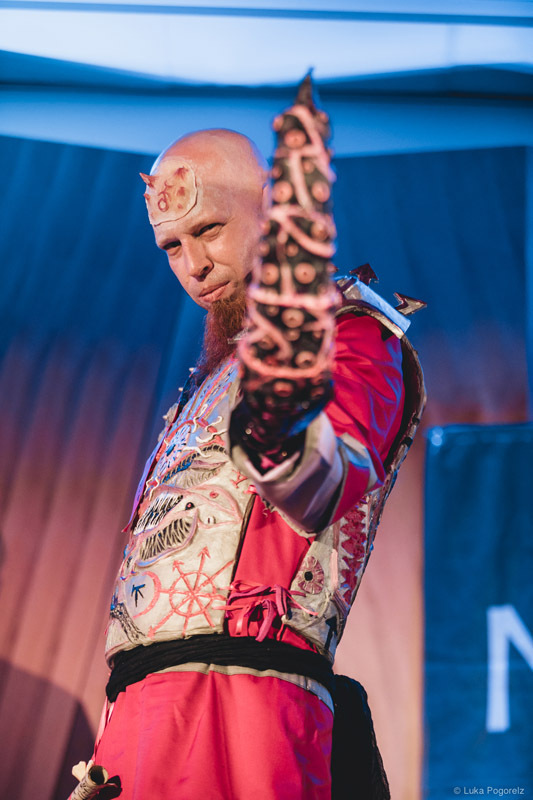 and Na meji nevidnega – the largest fantasy and science fiction convention in Slovenia! The organizers of NMN are great fans of cosplay, and one of our goals is to continually increase the quality of our cosplay competition, which is definitely one of the highlights of our event. We have introduced numerous changes since our first event, learned a lot and arrived at fixed categories and criteria for judging. We will also be giving a Best in show award to the costume with the highest overall number of points. The winner will represent Slovenia at the International Cosplay Champions which will take place at MondoCon convention in Budapest between 20. and 21. October 2018. 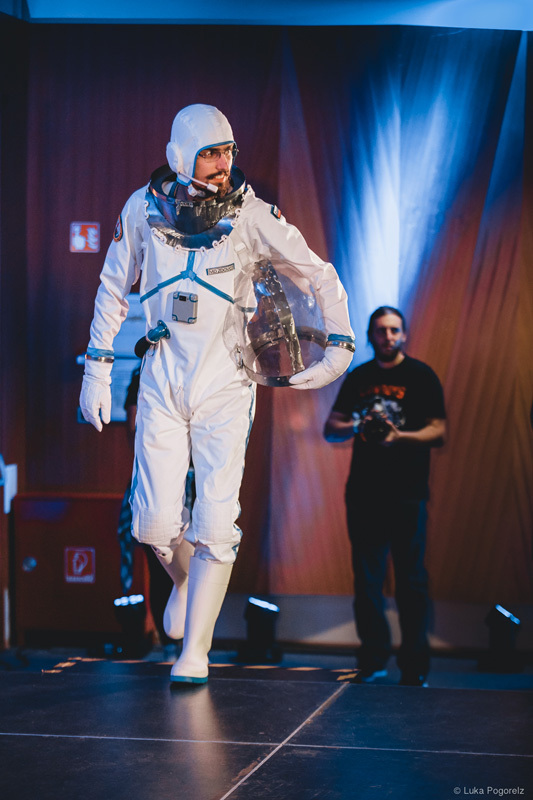 Further info about the championship are accessible on the official website: https://cosplaychampions.com/. The most important thing is that your costume is completely finished. This includes the back because we will be observing you carefully from all sides! It is great if you can point out what you bought and what you made yourself, how much time you spent on the costume etc. Be confident and proud of your work! Notice: sharp weapons, tools, and other parts of costumes, which could pose a potential risk to our staff or visitors, do not belong at our event and will need to be handed over before entering the venue. The main criteria that the jury will be judging the costumes on are: authenticity of the costume in regard to the chosen character (comprehensiveness and coherence for original costumes); quality of workmanship (completeness, neat seams, colour layering, etc. ); how much effort was put into the design of individual parts of the costume, whether the workmanship includes specific or innovative techniques, etc. We will also be judging your performance and presence on stage. This year, every visitor can be a part of the jury as the award will be given to the cosplay that is voted by the visitors. Online pool will be opened on the day of the event so everyone will have equal chances to vote and be voted. The winner of each category will receive material awards that are customized for every category. Winner (individual and not a group) of the title ‘Best In Show’ will receive paid travel and accommodation during the competition at MondoCon in Budapest. If you would like to participate in the NMN cosplay competition, you need to apply beforehand! Online registration to the cosplay competition. If you have any questions regarding the application or the competition itself, write to us at cersei@nmn.si! NMN, za negovanje domišljije skrbimo že od leta 2013!